The Greater Hazleton Rail Trail (GHRT) is four miles long with breathtaking scenic views such as wetlands, a reservoir, and rare Pine & Heath Barrens. Although the right of way is owned by the Hazleton City Water Authority, Butler Enterprises and Cabot Corporation, it is on a 50 year lease with the Greater Hazleton Area Civic Partnership (GHACP). Along with natural resources, it also runs through the historic part of the community showing small patch towns and both active strip mining and past mining scarred lands. The crushed limestone path features exercise stations, parking, picnic tables, and scenic benches. The Trail gives access to citizens from 12 municipalities covering three counties making the total population of the citizenry numbers over 65,000. In the future, the trail will eventually be connected to the Delaware and Lehigh National Heritage Corridor (D&L NHC) which will make the overall Trail approximately 16 miles long. After the connection to the D&L trail it will then connect up with the Susquehanna Greenways Partnership (SGP) trail system in Wilkes-Barre PA. 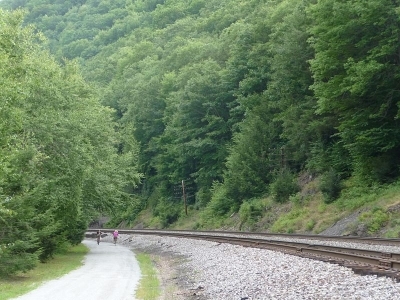 Along the route to the D&L NHC, it will connect the Greater Hazleton area with the historic Eckley Miners' Village (State Historic Museum Site), Lehigh Gorge State Park, and the surrounding game lands. 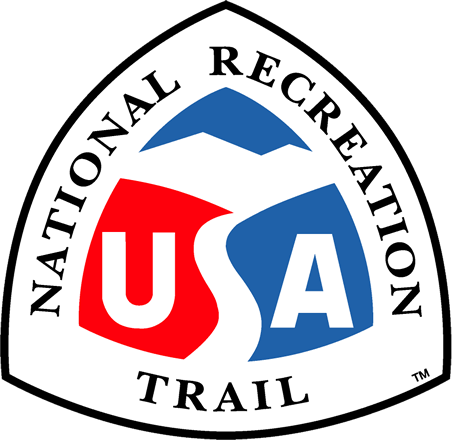 Upon completion the Trail will provide four parking areas, 10 exercise stations, and a number of accommodating picnic tables, benches and interpretive signs as well as environmental education areas. The GHRT is successful already and provides a lot of unique features throughout the path and the community, and will continue to do so. The Trail has infrared counters monitoring use since September of 2007 and they are showing average use of 20,000 visits a year (see attached monthly use from June of 2008). The spike of use on June 7th is from our 5th Annual National Trails Day Celebration. Numerous health partners involved with the Trail run activities and also educate the public on everyday health issues like keeping in shape. A section of the Lehigh Gorge Trail, near Jim Thorpe, PA. Photo by Listroiderbob2.